MILLION DOLLAR VIEWS! BEAUTIFULLY APPOINTED 5 bedroom home with designers touches throughout offers a PLATINUM LOCATION! Enjoy the expansive views from your backyard and yet you are ONLY MINUTES TO TOP RATED SCHOOLS, SHOPPING, MINER'S RAVINE (hiking and biking trails) and HOSPITALS. Downstairs bedroom and full bathroom. ELEGANT CHEF'S KITCHEN with a breakfast nook, pantry, gorgeous quartz counters tops, large center island s/s appliances adjoins the family room. SPACIOUS FAMILY ROOM has access to the backyard making entertaining a breeze. LUXURIOUS MASTER SUITE offer picturesque views and A GORGEOUS SUNRISE! Light and open master bathroom with a huge walk in closet, separate tub and shower. 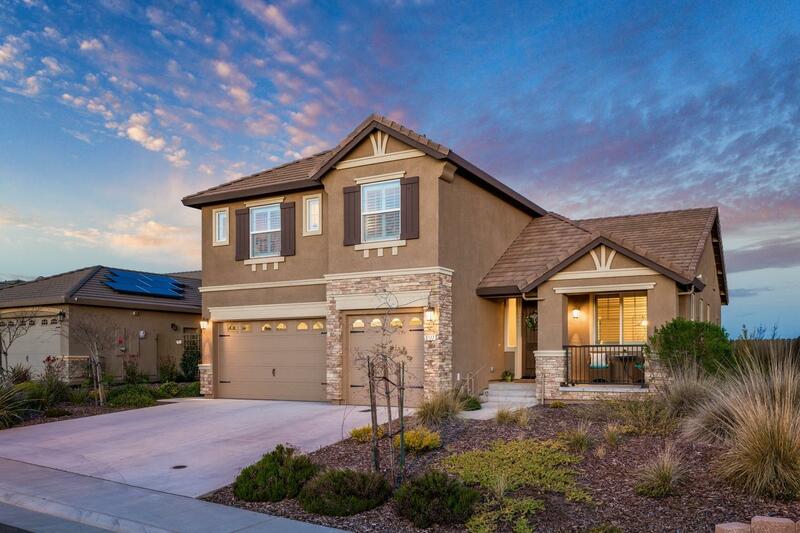 ENERGY EFFICIENT HOME offers Solar, Tankless Water Heater, Smart Vent and more... NO HOA! This property is a MUST SEE!